There has been consensus that logistics as well as supply chain management is a vital research field, yet with few literature reviews on this topic. This paper sets out to propose some hot issues in the current research, through a review of related literature from the perspective of operations management. In addition, we generate some insights and future research directions in this field. Organizations adopt numerous business improvement methodologies to improve business performance. Logistics as well as supply chain management has been regarded to be the crucial factor for the companies to obtain competitive edge. In fact, logistics as well as supply chain management has received attention since the early 1980s, yet conceptually the management of supply chains is not particularly well understood, and many authors have highlighted the necessity of clear definitional constructs and conceptual frameworks on supply chain management. In this paper, we provide a tutorial on the current research of operations management of logistics and supply chain. We first clarify the conception of logistics and supply chain management in this paper, which defines the scope of our related research papers. The core of this paper is that we provide several hot issues in this field with examples to show how these researches contribute from different research angles. Finally, we conclude the paper with the insights obtained from our analysis and future study directions in this field. The paper is organized as follows. In the next section, we specify the definitions of the terms of logistics and supply chain used in our paper, with a comparison between these two popular conceptions. In Section 3, which is the core section of this paper, we provide several hot topics in current research with detailed examples. In Section 4, we provide insights and further research directions. 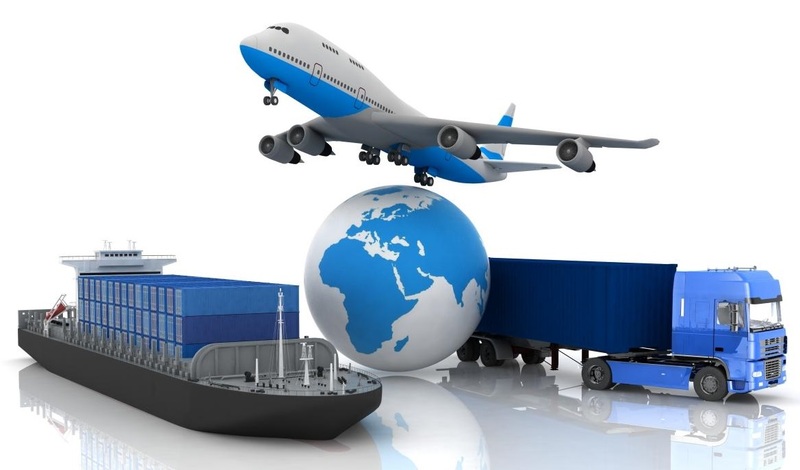 Logistics is the management of the flow of goods between the point of origin and the point of consumption in order to meet some requirements, for example, of customers or corporations. The resources managed in logistics can include physical items, such as food, materials, animals, equipment, and liquids, as well as abstract items, such as time, information, particles, and energy. The logistics of physical items usually involves the integration of information flow, material handling, production, packaging, inventory, transportation, warehousing, and often security. The complexity of logistics can be modeled, analyzed, visualized, and optimized by dedicated simulation software. The minimization of the use of resources is a common motivation in logistics for import and export. Note that the above definition of logistics is not unified, although it might be indeed, in current environment, a commonly acknowledged one. For example, Council of Logistics Management (now renamed as Council of Supply Chain Management Professionals) referred to logistics as “the process of planning, implementing, and controlling the efficient, effective flow and storage of goods, services, and related information from point of origin to point of consumption for the purpose of conforming to customer requirements,” which includes inbound, outbound, internal, and external movements and return of materials for environmental purposes. As we can see, the concept of logistics focuses on the product flow, which is the meaning by which this word has been translated in Chinese. It also puts emphasis on the activities of handling product, which include the storage, transportation, distribution, and packaging and processing. Although business logistics involves many activities, the traditional research of operations management on logistics mainly relates to the fields of logistics facility, transportation, and inventory planning. The terms of “logistics” and “supply chain” are usually comparative in academy and industry, since both of them are closely relevant to the product circulation during its whole life cycle, and both have been regarded as the central unit of competitive analysis of model management science. Generally speaking, supply chain is a more broadened conception with a wider range which can involve other similar subjects, such as network sourcing, supply pipeline management, value chain management, and value stream management [3–5]. In addition, we can see that the conception of logistics has no relationship with organization, which is the opposite of supply chain, since supply chain is made up of multiple organizations, usually companies. An important issue in supply chain management is that companies will not seek to achieve cost reductions or profit improvement at the expense of their supply chain partners but rather seek to make the supply chain as a whole more competitive. Hence, the contention that it is supply chains, and not a single company, that compete is a central tenet in the field of supply chain management . A central research methodology for supply chain management is game theory (and also incentive theory for the scenario of incomplete information). Due to the extensive research ranges in operations management of logistics and supply chain management, we cannot possibly make a comprehensive review in one paper. In this section, we point out several of the most important issues and hot topics in recent research, which draws great attention from both academy and industry. As has been pointed out in the previous section, the operations research on logistics management still mainly focuses on the traditional domain, that is, the inventory (including production planning) and transportation management. However, a noticeable phenomenon is that most papers are putting emphasis on specific fields with remarkable features captured into their models and thus making new contributions to the literature. For example, the inventory management of perishable products (also referred to as deteriorating product) is a rather old and mature field in logistics and supply chain management, with replenishment policies for inventory being the main focus of study. Whitin  investigated such a problem, where fashion goods deteriorating at the end of certain storage periods were considered. Since then, considerable attention has been paid to this line of research. Nahmias  provides a comprehensive survey of research published before the 1980s. Studies in recent years on the deteriorating inventory models can be found in Raafat  and Goyal and Giri’s  papers, in which relevant literature published in the 1980s and 1990s is reviewed, respectively. A more updated review is given in Blackburn and Scudder’s  paper. However, new models can still be developed to capture the current management feature and obtain new managerial insights. Generally, two types of perishable loss, quantity loss and quality loss, may take place for a perishable product. The majority of the literature has dealt mainly with only one type of loss. In this regard, Cai et al. adopt a stochastic model to study a supply chain in which a distributor procures from a producer a quantity of a fresh product. During the transportation process, the distributor has to make an appropriate effort to preserve the freshness of the product, and his success in this respect impacts both the quality and quantity of the product delivered to the market. Cai et al. further extend the model into a 3-stage supply chain with outsourcing transportation involved. Another important field is transportation. It is generally known that the research on VRP (vehicle routing problem) and its various extensions has been extensive. However, other new domains on transportation can still be interesting topics. For example, the remarkable growth in intermodal transportation over the past decade has not been matched by a comparable level of academic activity, and, hence, the research on intermodal transportation appears to have a great potential. Chang  explores one of the intermodal operational issues: how to select best routes for shipments through the international intermodal network. The problem is formulated as a multiobjective multimodal multicommodity flow problem with time windows and concave costs, and an efficient heuristic is proposed. Vermaa and Verter  present a first attempt for the development of an analytical framework for planning rail-truck intermodal transportation of hazardous materials by developing a biobjective optimization model to plan and manage intermodal shipments to represent the current practice; the routing decisions in the model are driven by the delivery times specified by the customers. Bruns and Knust  study the problem of load planning for trains in intermodal container terminals. The objective is to assign load units to wagons of a train such that the utilization of the train is maximized and setup and transportation costs in the terminal are minimized. Bruns et al. further study the problem of robust load planning for trains in intermodal container terminals. The goal of load planning is to choose wagon settings and assign load units to wagons of a train such that the utilization of the train is maximized and setup and transportation costs in the terminal are minimized. García et al. adopt a new hybrid approach by combining OR techniques with AI search methods in order to obtain good quality solutions for complex intermodal transport problems, by exploiting the benefits of both kinds of techniques. The solution has been applied to a real-world problem from one of the largest Spanish companies using intermodal transportation. Sourcing is the first step in a supply chain. The research on sourcing has been extensive in recent years. This leaves open room for a supplier to improve efficiency over time by further optimizing the production processes. In general, OEMs’ shifting of more development and engineering work, which require complex tasks and customized products, to their suppliers implies a significant potential for a supplier to accumulate knowledge and experience from learning, thus reducing costs over time [19–21]. This dynamic change of supply costs affects the negotiation of sourcing contracts. A noticeable issue is the utilization of auctioning in the sourcing strategy. One of the first researches in this regard might be Chen’s , which studies a procurement problem with one buyer and multiple potential suppliers who hold private information about their own production costs. An optimal procurement strategy is considered for the buyer who first specifies a payment for each possible purchase quantity and then invites the suppliers to bid for this contract. The auction can be conducted in many formats such as the English auction, the Dutch auction, the first-priced auction, sealed-bid auction, and the Vickrey auction. Chen and Vulcano  study a supply chain where an upstream supplier auctions his inventory or capacity as a bundle, which formulates the problem as a two-stage supply chain comprising a single supplier and two resellers. Huh and Janakiraman  study periodic-review inventory replenishment problems with auctions and other sales channels and show that the optimality of (s, S) inventory replenishment policies extends well beyond the traditional sales environments studied so far in the inventory literature. Chen et al. [25, 26] study a supply chain in which a single buyer wishes to procure a package of products or services from various competing suppliers that possess private cost information and show how the buyer can optimize his/her profit and at the same time coordinate the channel by using a contract scheme involving auctions, audits, and profit sharing. For a supplier that provides critical and customized components, the demand closely depends on, and hence is susceptible to, the variation of the final product demand. In the automotive industry, unstable and uncertain domestic volume of individual models is cited as one of the biggest challenges faced by manufacturers due to increased consumer choices . The consumer electronics industry is notorious for risk stemming from short product life cycles and high demand uncertainty . Furthermore, there is typically more uncertainty about the future demand than about the current demand. This demand uncertainty adds another source of future uncertainty, besides possible supplier switching (in a short-term relationship), that influences the decision of initial capacity investment. Marketing is another end in supply chain. The collaboration with marketing science massively extends the domain of supply chain management. Pricing, promotion, and channel management are the three most important areas in this regard. Pricing and promotion are the central issues in marketing management, let alone under consideration of the supply chain environment. Li and Graves  explore the pricing decisions during intergenerational product transition, by formulating the dynamic pricing problem and deriving the optimal prices for both the old and new products. The optimal initial inventory for each product is also determined, and a heuristic method is discussed. Li and Zhang  study the preorder strategy that a seller may use to sell a perishable product in an uncertain market with heterogeneous consumers. They find that accurate demand information may improve the availability of the product, which undermines the seller’s ability to charge a high preorder price. As a result, advance demand information may hurt the seller’s profit due to its negative impact on the preorder season. Sainathan  considers pricing and ordering decisions faced by a retailer selling a perishable product with a two-period shelf life over an infinite horizon. Sinitsyn  investigates the outcome of a price competition between two firms, each producing two complementary products. It is found that each firm predominantly promotes its complementary products together, which is correlationally supported by data in the shampoo and conditioner and in the cake mix and cake frosting categories. Liu et al. examine the efficacy of cost sharing in a model of two competing manufacturer-retailer supply chains who sell partially substitutable products that may differ in market size. Some counterintuitive findings suggest that the firms performing the advertising would rather bear the costs entirely if this protects their unit profit margin. Gao et al. show that the weather-conditional rebate program can increase sales by price discriminating among a customer’s postpurchase states. Taking advantage of the early sales, it can also reduce the inventory holding cost and ordering cost and hence can increase the retailer’s expected profits. In addition, channel management is also an important interface between marketing and supply chain. Chen et al. [25, 26] study a manufacturer’s problem of managing his direct online sales channel together with an independently owned bricks-and-mortar retail channel, when the channels compete in service. They identify optimal dual channel strategies that depend on the channel environment described by factors such as the cost of managing a direct channel, retailer inconvenience, and some product characteristics. Brynjolfsson et al. investigate local market structures for traditional retailers and then match these data to a dataset on consumer demand via two direct channels: Internet and catalog. Their analyses show that Internet retailers face significant competition from brick-and-mortar retailers when selling mainstream products but are virtually immune from competition when selling niche products. Guo  investigates optimal disclosure strategies/formats in a channel setting with bilateral monopolies and shows that retail disclosure leads to more equilibrium information revelation. Chiang  extends the single-period vertical price interaction in a manufacturer-retailer dyad to a multiperiod setting, in which a manufacturer distributes a durable product through an exclusive retailer to an exhaustible population of consumers with heterogeneous reservation prices. The open-loop, feedback, and myopic equilibria for this dynamic pricing game are explored and compared to the centralized solution. Green logistics refers to a logistics form which plans and implements green transport, green storage, green packaging, green circulation processing, green recovery, and other activities via advanced logistics technology. It aims to reduce environmental pollution and resource consumption arising from logistics activity so as to realize a “win-win” consequence in logistics development and eco-environmental conservation. As an important avenue for realizing the sustainable development strategy, greater attention has been given to green logistics which will play an important role in industrial upgrading, transformation of economic structure, promotion of logistics development level, and other relevant aspects. Green supply chain is the supply chain management with similar objectives and core implications. Green logistics as well as supply chain management is also usually referred to “sustainable” management. A typical field in green logistics and supply chain management is reverse logistics, sometimes called closed-loop supply chains, in which there are reverse flows of used products (postconsumer) back to manufacturers. There has been substantial research into production planning and inventory management in remanufacturing systems. Simpson  first studies a periodic review inventory system with stochastic and mutually dependent demands and returns and provides the optimality of a three-parameter inventory policy. Kelle and Silver  consider a different model with independent demand and return processes, where all returned products should be remanufactured. Inderfurth  shows that the optimal policy derived by Simpson  is still optimal in the case of fixed cost when lead times for remanufacturing and manufacturing are identical. Van der Laan et al. analyze a push control strategy and a pull control strategy in a hybrid system and compare them with the traditional systems without remanufacturing. Teunter et al. explore the superior inventory strategies for hybrid manufacturing/remanufacturing systems with a long lead time for manufacturing and a short lead time for remanufacturing. Wang et al. analyze the impacts of the amount of products manufactured and the proportion of the remanufactured part to the returned products on the total cost of the hybrid system, showing that the cost could be reduced significantly if these two critical values are optimally set. Other related works include Kiesmüller , Tang and Grubbström , Aras et al. . For a comprehensive review, I refer the reader to Fleischmann et al. , Dekker et al. , and Ilgin and Gupta . A typical feature in reverse logistics and closed-loop supply chains is the quality uncertainty of acquired used product, which is usually expressed by a random remanufacturing yield and has been studied in some recent papers. Inderfurth  shows that the uncertainty in returns and demand can be an obstacle to an environmental-benign recovery strategy within a reverse logistics system. Inderfurth and Langella  develop heuristics for the problem of obtaining parts for remanufacturing by disassembling used products or procuring new ones, under the consideration of random disassembly yields. Galbreth and Blackburn  explore acquisition and sorting/remanufacturing policies in the case of a continuum of quality levels for cores with fixed quality distribution. The main premise is that remanufacturing costs will go down if only the returned products with better quality are remanufactured. Ketzenberg et al. explore the value of information in the context of a firm that faces uncertainty with respect to demand, product return, and product remanufacturing yield by first analyzing a simple single-period model and then proving that the results carry over multiperiod setting. Çorbacioǧlu and van der Laan  analyze a two-product system with end-product stock containing both manufactured and remanufactured products while the remanufacturable stock may contain products of different quality. Zikopoulos and Tagaras  investigate the production problem in a reverse supply chain consisting of two collection sites and a refurbishing site and examine how the profitability of reuse activities is affected by uncertainty regarding the quality of returned products. Denizel et al. propose a stochastic programming formulation to solve the remanufacturing production planning problem when inputs of the remanufacturing system have different and uncertain quality levels and capacity constraints. Although the research on remanufacturing systems is vast, there are only a few papers that consider a market-driven acquisition channel for used products. Guide and Jayaraman  and Guide and van Wassenhove  are the first to investigate this field, pointing out the importance of used product acquisition management to deal with the uncertainty in timing, quantity, and quality of the returned products. Guide et al. develop a quantitative model to determine the optimal acquisition prices of used products and the selling price of remanufactured products, assuming that the quantity of return items can be fully controlled by the acquisition price. Bakal and Akcali  extend the model of Guide et al. into the case of random remanufacturing yield and analyze the impact of yield on the remanufacturing profitability. Karakayali et al. study the problem of determining the optimal acquisition price of the end-of-life products and the selling price of the remanufactured parts under centralized as well as decentralized remanufacturer-driven and collector-driven decentralized channels. The decisions under the consumers’ behavior are important for the firms to gain competitive edge and obtain more profit. The customer’s behavior can be loss averse, risk averse, regretful, and strategic, and the papers incorporating such factors are regarded as increasingly important. Kök and Xu  study assortment planning and pricing for a product category with heterogeneous product types from two brands by modeling consumer choice using the nested multinomial logit framework with two different hierarchical structures: a brand-primary model in which consumers choose a brand first and then a product type in the chosen brand and a type-primary model in which consumers choose a product type first and then a brand within that product type. Nasiry and Popescu  study the dynamic pricing implications of a new, behaviorally motivated reference price mechanism based on the peak-end memory mode, which suggests that consumers anchor on a reference price that is a weighted average of the lowest and most recent prices. They find that a range of constant pricing policies is optimal for the corresponding dynamic pricing problem. Nasiry and Popescu  further characterize the effect of anticipated regret on consumer decisions and on firm profits and policies in an advance selling context where buyers have uncertain valuations. Tereyaǧoǧlu and Veeraraghavan  propose a model that addresses pricing and production decisions for a firm, using the rational expectations framework. They show that firms may offer high availability of goods despite the presence of conspicuous consumption and scarcity strategies are harder to adopt as demand variability increases. Parlaktürk  considers a firm that sells two vertically (quality) differentiated products to strategically forward-looking consumers over two periods, setting the prices dynamically in each period. It is found that the loss due to strategic customer behavior can be less with two product variants compared to the single-product benchmark, which indicates that product variety can serve as a lever when dealing with strategic customers. Cachon and Swinney  consider a retailer that sells a product with uncertain demand over a finite selling season, with three types of consumers: myopic, bargain-hunting, and strategic consumers. They find that the retailer stocks less, takes smaller price discounts, and earns lower profit if strategic consumers are present than if there are no strategic consumers, and a retailer should generally avoid committing to a price path over the season. Another stream of research focuses on the risk attitude of the firms in the supply chain. Lau’s  might be the first piece of work that studies the newsvendor boy problem under mean-variance framework, which takes the variance of system profit or cost into the utility function. Other recent works employing similar methodology to investigate supply chain problem include H. S. Lau and A. H. L. Lau  on supply chain model with return policy, Buzacott et al. on the commitment-option contracts, Choi et al. on channel coordination, and Wei and Choi  on wholesale pricing and profit sharing scheme. From the above analysis, we can absorb the following insights and future directions in the area of operations research of logistics and supply chain management. First, the logistics issue regarding the people’s livelihood becomes a hot spot. The traditional research in this regard is related to perishable product, fashion product, and electronic product, which have short life cycle. Nowadays, such topics might include city logistics, emergency logistics, and agriculture supply chain. Second, new directions on logistics and supply chain management can be brought about by the development of economy and technology. A typical example is the information technology which leads to the research on e-business and related distribution channel choice. Nowadays, the common usage of RFID, cloud technique, and big data can be important research directions for future study. Third, the environmental related research will continue to be big issue. With the steady increase in global population and economic scale, resource crisis, ecological damage, environmental pollution, and other issues have drawn universal concern. It has been the consensus of the international community to attain socioeconomic sustainable development through a greener economic pattern and lifestyle. Many countries create a new outlook in industrial and technical competition by increasing investment in the green logistics and supply chain field, formulating and implementing various bills, plans, and strategies, and strengthening the implementation of green economic development strategy. In the future, the range of this topic will not only be just re-manufacturing, reverse logistics, and closed-loop supply chain. Low-carbon issues can be an important research direction. Finally, multi-methodology is an important direction for future study. Traditionally, major research methodologies in operations management can be classified into several categories, such as theoretical modeling, computation and simulations, surveys, cases, event studies, and behavioral experiments. In recent years, there is an emerging trend towards combining multiple research methodologies to explore research problems in logistics and supply chain management. For example, in addressing the issues of supply chain coordination, some papers establish the respective models and verify the findings by real-world cases and some papers conduct behavioral experiments with the goal of exploring the real-world relevance of some theoretical models. Moreover, the number of the papers with new applications of the existing methodology, such as cooperative game and behavior operations, is expected to grow continuously. The author gratefully acknowledges the support by the Fundamental Research Funds for the Central Universities, no. NKZXB1228. Copyright © 2014 Xiang Li. This is an open access article distributed under the Creative Commons Attribution License, which permits unrestricted use, distribution, and reproduction in any medium, provided the original work is properly cited. M. J. Saunders, Strategic Purchasing and Supply Chain Management, Pitman, London, UK, 1997. M. J. Saunders, “Making strategic decisions and actions in purchasing and supply chain management,” in Proceedings of the 6th International IPSERA Conference, pp. T1/6 1–T1/6 9, Naples, Italy, 1997. T. M. Whitin, Theory of Inventory Management, Princeton University Press, Princeton, NJ, USA, 1957. R. Monczka, R. Trent, and R. Handfield, Purchasing and Supply Chain Management, Thomson South-Western, Mason, Mich, USA, 2005. B. Anderson, “GM’s global supply footprint,” in Proceedings of the Supplier Industry in Transition: The New Geography of Auto Production, 2006. R. Dekker, M. Fleischmann, K. Inderfurth, and L. N. van Wassenhove, Reverse Logistics: Quantitative Models for Closed-Loop Supply Chains, Springer, New York, NY, USA, 2004.